I am proud to announce that East End Raceshop now carries Moton/AST coilover kits. Moton is a renowned damper brand, started its activities in 1999. Moton Suspension Technology develops, manufactures and markets a full range of high quality, easy to use and state of the art adjustable dampers. By June of 2000, 30% of the starting field at the famous 24 hours race of Le Mans was equipped with Moton dampers and since that time many Championships were won on Moton dampers like the FIA GT and FIA Sportcar Championship, FIA ETCC and FIA WTCC Championship, Grand-Am and World Challenge Championship, 24 Hours of Spa, 24 Hours of Le Mans, 12 hours of Sebring and 10 hours of the Petit Le Mans, and not to mention numerous national GT, Touring and Club Racing events all over the world. PLEASE contact me for individual specs/pricing and to order! *Image is not vehicle specific. The 3-Way adjustable Moton damper features 15 positions of high speed bump, 6 positions low speed bump and 15 positions of rebound adjustment. The low speed bump adjuster is located on top of the high speed bump adjuster and can be adjusted independently. The low speed bump adjuster is very effective in helping to control body roll while adding to turn in and also is effective in controlling pitch and squat. The 3-Way adjustable Moton damper is using, like the double adjustable damper, a unique blow-off valve system in the canister to totally control curb stones and bumpy track conditions. 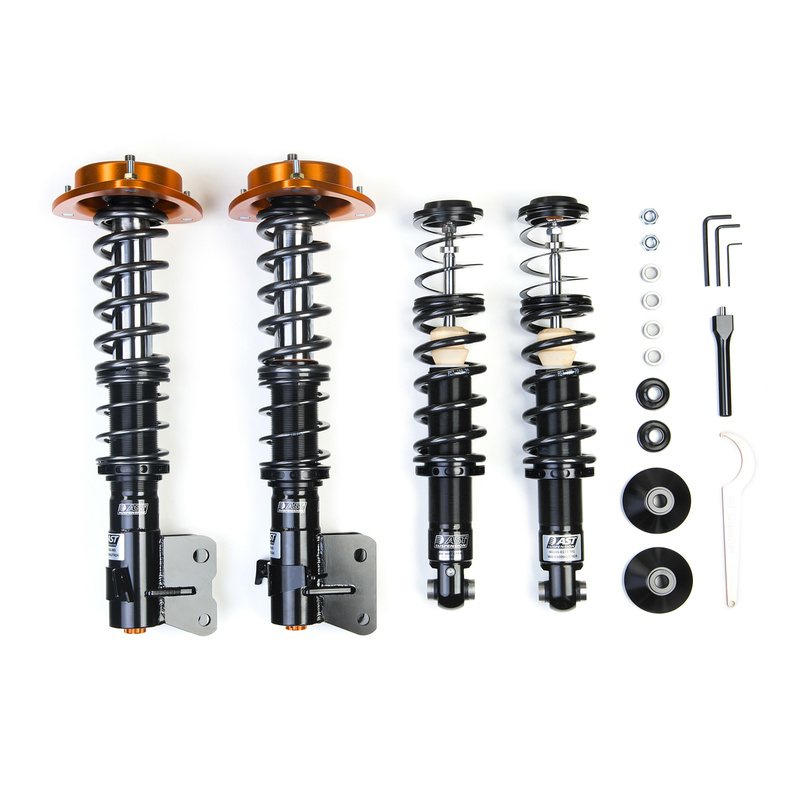 PM us for Special Forum Pricing on all AST coilovers! Don't see what you're looking for on our website? We are still working on adding new parts/cars onto the site! Please PM us with any inquiries and we can source parts for your car! We carry AST/Moton coilovers for more than just the VA WRX/STI! PM for pricing on your application! 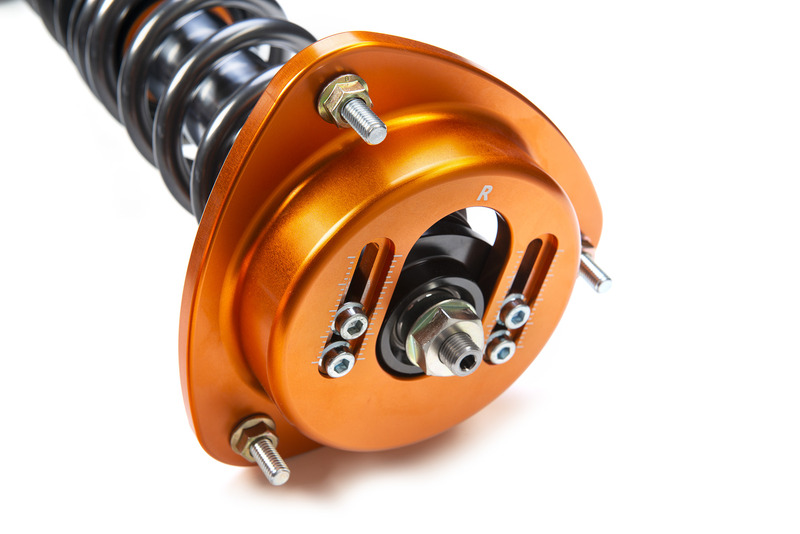 We offer special forum pricing for all AST/MOTON custom coilovers! Have a GREAT WEEKEND NASIOC!!! In 2011, AST purchased MOTON Suspension Technology. MOTON Suspension is a renowned damper brand founded in 1999 that develops, manufactures and markets a full range of high quality, state-of-the-art adjustable dampers. By 2000, 30% of the starting field in the 24 hours of Le Mans were equipped with MOTON dampers. MOTON has become a provider of high performance shock absorbers used by many prominent manufacturers and racing teams worldwide. Its applications are mainly used in GT and Touring cars as well as in high-performance street cars while providing user-friendly and efficient technology. PM us for special forum pricing on your next set of AST/Moton coilovers! Use the discount code GGFRS for an additional discount on all orders! 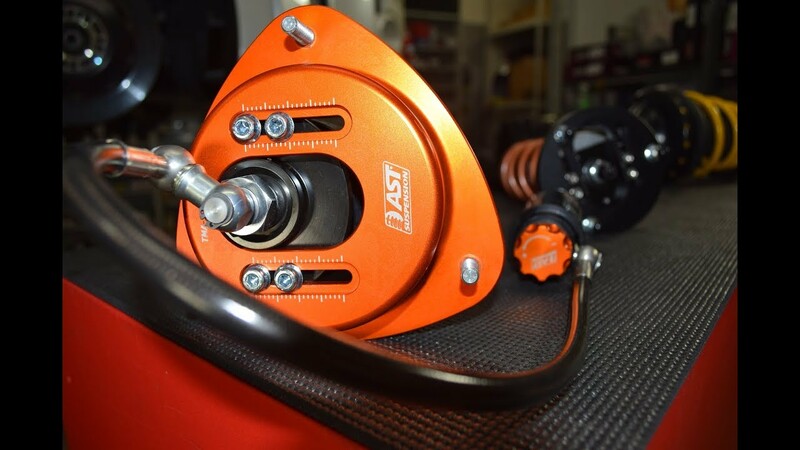 AST top mounts are now available at East End Raceshop! – These are compatible with most coil over systems on the market to improve adjustability where it’s needed most. AST camber plates are designed to keep maximum stroke, even with a low ride height, by minimizing stack height where possible and can add upwards of 3.5* of camber on some applications. 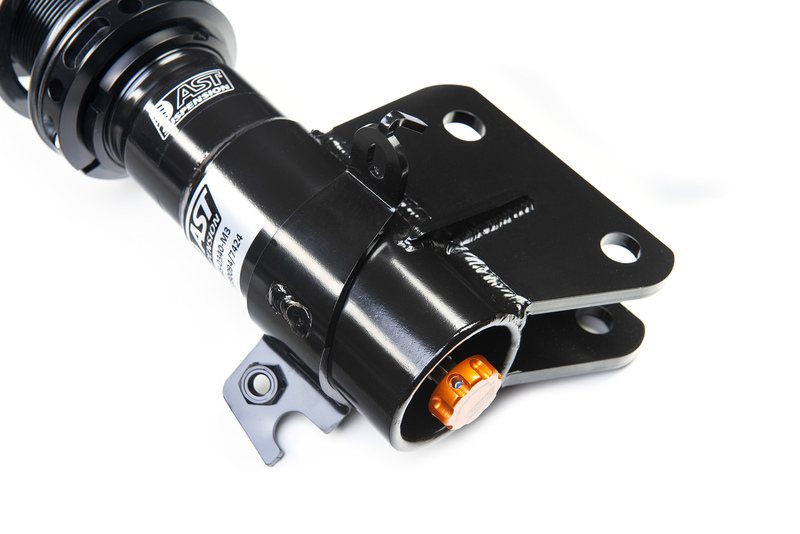 AST Subaru WRX and BRZ camber plates (pictured below) actually add usable stroke to your shocks by raising into and above the shock tower space. AST's industry-leading dust boot design (included on each camber plate) protects the underside of the bearings from dust and debris, a rare but necessary feature. Our offset rear spherical mounts can be installed to add tire/wheel clearance to dial-in the kit to fit your every need on and off the track. For quicker turnaround, AST also have select top mounts in stock for immediate shipping and delivery. All top mounts are manufactured and hand assembled in Holland. PM us for Special Forum Pricing on AST/Moton coilovers! Treat yourself to the sweetest deals at East End Raceshop! AST Suspension kits added to the East End Raceshop site, click on the following links to check them out! We are working hard to improve our website and upload more parts every day! Please let us know if you're having any issues with the site! Adding new products to the site everyday, check it out! Ready for the next level? The AST 5100 Series coilovers are the next step up when considering a performance suspension. They still offer great driving comfort but are definitely track focused. 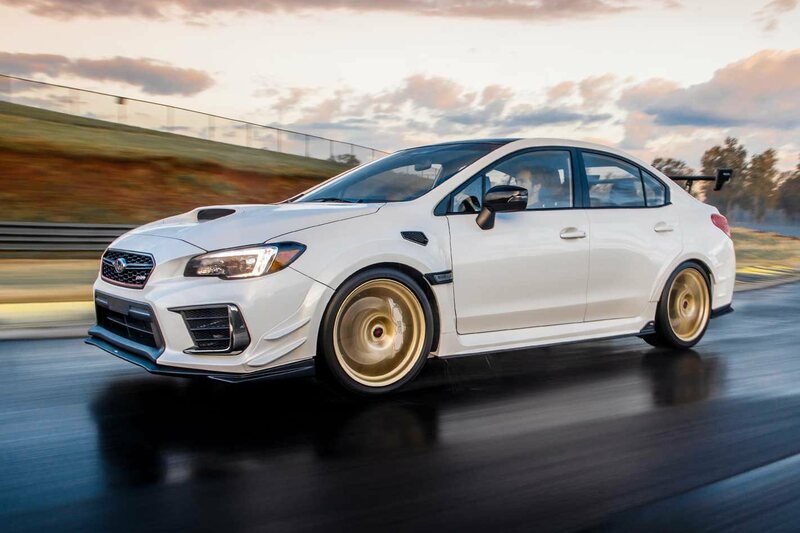 These are great coilovers for the performance minded enthusiast who tracks their car occasionally, but doesn't want to get too deep into fine suspension tuning. The 5100 Series feature full height adjustability with damper tuning aimed at performance driving, occasional track days, and a civilized ride. The monotube dampers are invert mounted for improved strength and the rebound adjustability allows for more tuning to your desired performance level and driving style. Like the 4100 Series, the 5100 Series features improved corrosion resistance with AST's KTL Coating.